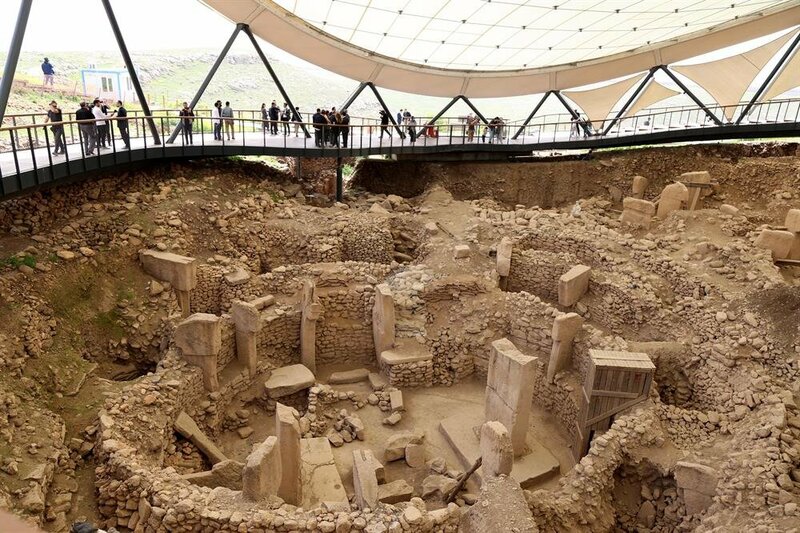 Restoration work is proceeding well at Göbeklitepe in southeastern Turkey, the site of the world’s oldest temple, a Turkish official said Friday, stressing that no damage was being done to the surroundings. Mahmut Kocamese, Deputy Undersecretary of the Ministry of Culture and Tourism, said at a media briefing that the construction of a welcome center around 1,300 meters from the site in Sanliurfa had been completed and a pathway to help the disabled and elderly reach the site was under construction. He stressed that the restoration process is focused on safety and creating a simple way to reach the area. “I have to say that this road is already at a distance from the archaeological site and will end near it, but it doesn’t even touch the area," he said. Kocamese said archeologists and cultural protection officials are taking part in the supervision work at the site. Prof. Dr. Necmi Karul, a member of the science commission in Sanliurfa, said they did not see an iron-containing concrete at the excavation site which is claimed to be weighing on the site and might damage the temple. Natural materials of stones and sand were being used to make the mortars, said Karul, underscoring that the restoration work was protective and not destructive. “There are some recommendations like roller machines to roll over the sandy area so that it is spread around the site. But we can say that the work is protective,” he added. Karul, noting that the work started after confirmation from the province’s heritage protection authority, said the project was begun with permission to reconstruct the environment. Regarding allegations made on social media, Karul confirmed that there is no such threat of harming the temple. Prof. Dr. Gulriz Kozabe, another member of the commission who participated during the supervision process, stressed that it was the UN’s recommendation that the site should be made accessible to the public, and the work is aimed at simplifying its accessibility. The 1,200-year-old Gobeklitepe is partially open, according to the briefing, but the official opening was not held until now. Gobeklitepe is on the tentative list of UNESCO World Heritage Sites and is recognized as the oldest temple in the world by many international organizations. During preparations for its candidacy, a 4,000-square-meter steel roof was erected to protect the site. 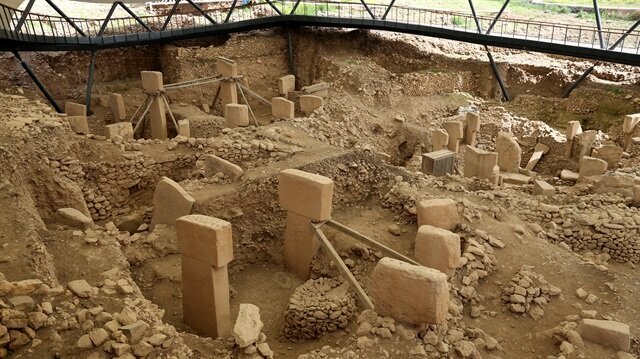 After being temporarily closed to visits due to work on its new roof, Gobeklitepe partially reopened last month.